Natalee Picillo is a highly experienced New Jersey divorce and family law attorney. She received a Bachelor of Science in Public Administration and Mathematics from the University of Scranton in 1983. 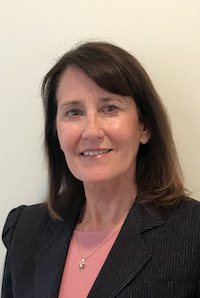 She earned a Juris Doctorate from Seton Hall University School of Law in 1986 and was licensed to practice law in the State of New Jersey the same year. Thereafter, she served as a Judicial Law Clerk for the Honorable Walter Barisonek, P.J.S.C, who was the Presiding Judge of the Family Part at that time with the Union County Superior Court, Elizabeth, NJ. Over the past 30+ years, Natalee has gained extensive experience in Divorce & Family Law, Bankruptcy Law, and Insurance Defense Litigation. She represents divorce and family law clients in connection with complex Divorce litigation and settlement negotiations, Custody battles and Domestic Violence hearings. She also has experience drafting and negotiating prenuptial agreements and shared parenting arrangements. She is a Court Approved divorce & family law mediator. The training also includes a Certification in Collaborative Divorces. Natalee’s goal with regard to Divorce & Family Law cases is to minimize the emotional and financial tension of litigation and the court process by advocating for a fair and equitable settlement agreement, while at the same time always being ready to litigate aggressively on her client's behalf should it be necessary. Consumer bankruptcy for Chapter 7 and Chapter 13 bankruptcy is another area of law where she help clients clean the slate and start new with their financial circumstances. With bankruptcy, she can help ease the tension of the clients' financial worries and they can start building their credit again. Over the years, on her personal time, she has enjoyed working with special needs children which she has done since she was 16 years old. Having a brother who is Down Syndrome and Autistic has taught Natalee a lot about the needs of special children and their families both emotionally and now legally. Her other hobbies include skiing, biking and camping. Her professional memberships include the New Jersey Bar Association, Family Law section, and the Somerset County Bar Association.